Try as I might, I was unable to find the name of this building, or any information about it, even though I was able to find it on Google Maps. 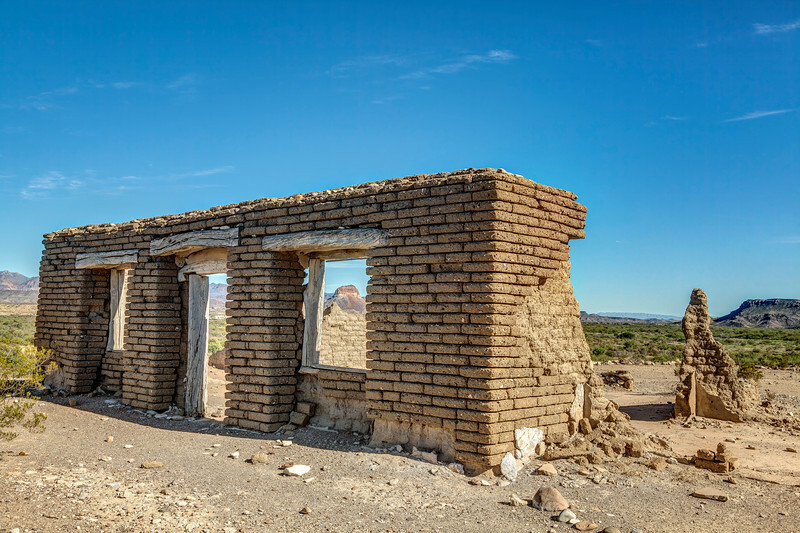 The drive to Santa Elena Canyon, in Big Bend National Park, goes right by this building, but it is situated on top of a hill, and it is difficult to see. It was dumb luck that allowed me to spot it. I think the thing that makes this picture, for me, is the butte in the background, seen through the “window” of this abandoned building.